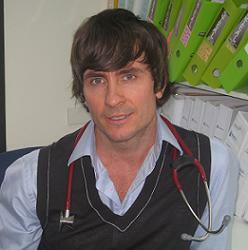 Matthew Shields is a Sexual Health Physician and is a qualified General Practitioner. He also speaks Brazilian Portugues. His expertise and interests include HIV medicine, viral hepatitis (including treatment for Hepatitis B and C), sexually transmitted infections, PrEP and dermatology. Dr Shields’ usual days at the clinic are Monday, Wednesday, Thursday, Friday and Saturday (fortnightly).